Abnormal menstrual periods may have a variety of causes, such as endometrial hyperplasia, endometrial polyps, uterine fibroids, and abnormal thyroid or pituitary function.The endometrium is the tissue lining the uterus. When the endometrium becomes unusually thick it is called endometrial hyperplasia. 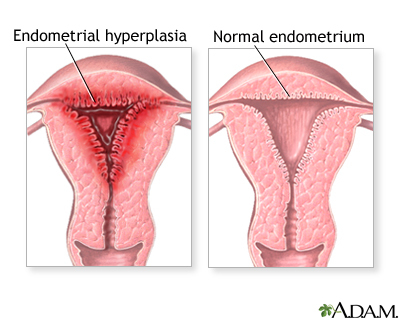 Hyperplasia may cause profuse or extended menstrual bleeding.